Attention green beauty lovers! The day that we have been waiting for is finally here. An all-natural, safe and non-toxic eyelash glue finally exists! 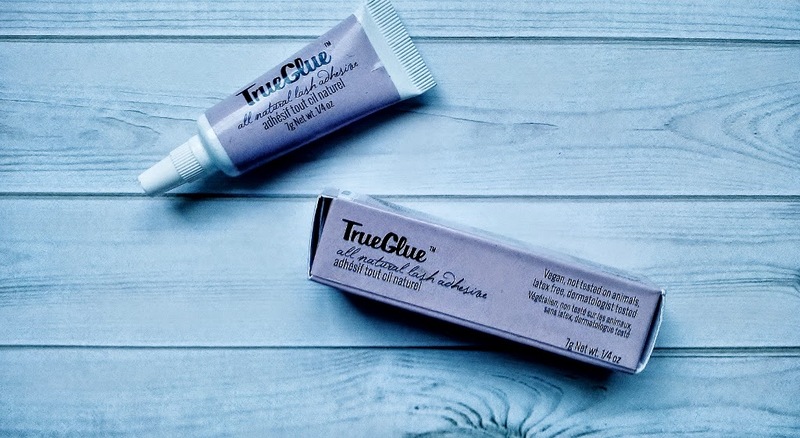 True Glue was developed by Emily Lyons, a Canadian entrepreneur and CEO of the model management agency Femme Fatale Media. Emily created an all-natural eyelash glue after hearing frequent complaints from models getting reactions from lash glue. I think that most of us can sympathize with this problem. Almost everyone I know, myself included has gotten some type of reaction from eyelash glue. Usually it’s the day after use and the eyelids become red, dry, puffy and sensitive to touch. Rosewater, chamomile extract, biotin, candelila wax, pullulan, geranium, glycerin and castor oil. Gemstone Organic is a completely unique skincare line as their products are not only USDA certified organic but gemstone essence is used in all of their products. These unique essences are created from gemstones and crystals as they are infused into purified and ionized water. These essences offer revitalizing energy to your body, similar to mineral springs. When Gemstone Organic contacted me for a review I was more than thrilled to test out a few of their products as they extremely unique and filled with great ingredients! For my dry, sensitive, and acne prone skin I was advised to use the Moonstone Cream in the morning as it is hydrating without being too heavy. The Moonstone Cream is made from essences of Moonstone and other select Crystals. On their website it says that the Moonstone Cream "helps to balance internal hormone cycles and maintain yin and yang, which play an important role in skincare". They couldn't have picked a better cream for my skin, as hormonal is exactly what it is. What I love about this cream is that a little goes a very long way and helps to restore the "glow" that my skin has been missing for these winter months. This might just be my favorite product from Gemstone Organic. I don't know what it is. It could be the essential oils of lemongrass, neroli, and sandalwood or it could even be the Ruby stone that helps to clear toxins from the blood. Either way, I'm hooked. The aromatherapy combined with the gemstone essence creates and uplifting and energetic cream. I really do look forward to using this everyday. The ruby cream is uniquely made with shea butter, hemp oil, and blended with rose water - making it the perfect moisturizer to use during the winter months. I'll be getting a lot of use out of this as winter is pretty much 6 months long here (ugh!). We all know that I love a good toner and this one makes the cut. While I do find the scent to be a little strong there is no doubt that the ingredients are soothing and calming - both to the skin and mind. This hydrosol is healing to all skin imperfections and is naturally anti-inflammatory. To make this hydrosol they infuse the plant water with gemstone essence from crystals and gem that are yellow and organic. The essence helps to boost the plants healing properties. Overall I am extremely happy with the Gemstone Organic skincare line. Their principles got me interested and their amazing products kept me hooked. More importantly I am extremely impressed with how helpful Debra and Sara are (creators of Gemstone Organic). They picked the perfect products for my skin (I couldn't have done it better myself) and all from me just telling them that I have dry and acne prone skin. I highly recommend that you give this brand a try! 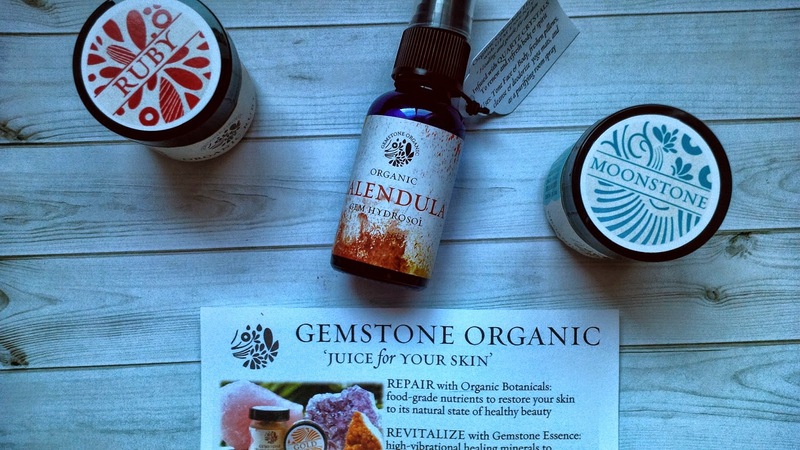 Have you tried Gemstone Organic? What are your thoughts? 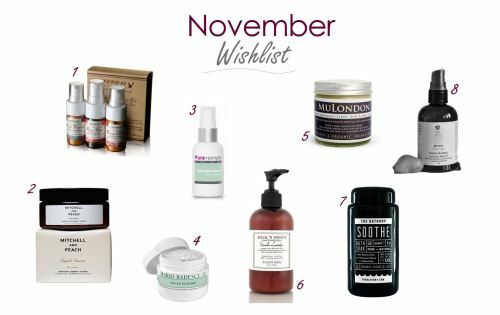 With the official start of winter just around the corner, I picked the 2014 Nuciya Must-Have's for winter! You can't go wrong with any of these products. La Mav is an Australian made, certified organic, and cruelty-free skincare line. All of their products are 100% plant based and provide anti-aging results. I've been testing out their products for a few weeks and am blown away by their formulations. La Mav is one of those brands that you wouldn't know is natural unless someone told you. 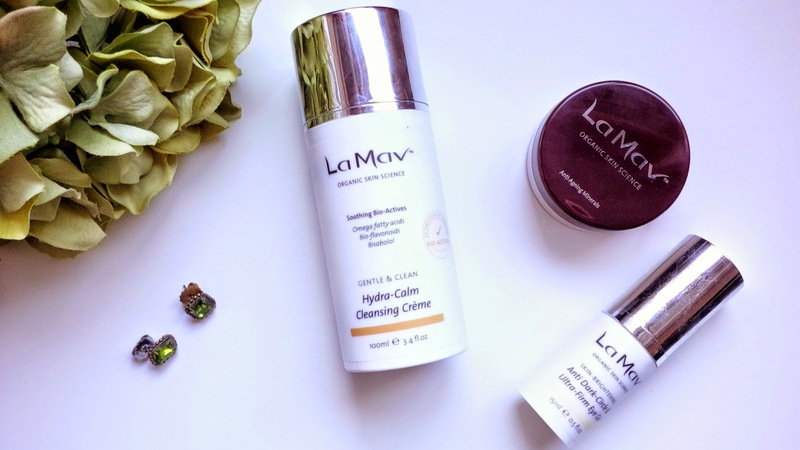 This makes La Mav the perfect skincare range for people transitioning to green beauty or for anyone who's looking for well formulated, high performing products with a reasonable price. The Hydra-Calm Cleansing Creme is an extremely gentle, hydrating, and of course creamy cleanser. Right now this is a perfect cleanser for my extremely dry skin (due to harsh Canadian winters). It has a very faint scent of rose, which I love! It isn't too overpowering so it's perfect for those who are sensitive to strong scents. As for performance, this cleanser takers off majority of my makeup and leaves my skin feeling smooth and refreshed.After a few days using this I noticed the amount of redness in my skin reduced. At $26.95 for 100ml this is a fabulous value! Ingredients:*Aloe Barbadensis (Aloe Vera) Leaf Juice; *Rosa Damascena (Rose) Distillate; *Jasminum Grandiflorum (Jasmine) Flower Extract; *Simmondsia Chinensis (Jojoba) Seed Oil; Glyceryl Stearate, Cetearyl Alcohol, Sodium Stearoyl Lactylate; *Macadamia Ternifolia (Macadamia) Oil; Sodium Levulinate; Sodium Anisate; Bisabolol; *Glycerin (Vegetable); Tocopheryl Acetate (Vitamin E – plant derived); *Matricaria Recutita (Chamomile) Flower Extract; *Vaccinium Myrtillus (Bilberry) Seed Oil; *Hippophae Rhamnoides (Sea Buckthorn) Seed Oil; *Avena Sativa Kernel (Oat) Extract; *Camellia Sinensis (Green Tea) Extract; *Daucus Carota (Carrot) Seed Oil; *Butyrospermum Parkii (Shea) Butter; Terminalia Ferdinandiana (Kakadu Plum) Extract; *Camellia Sinensis (Green Tea); *Eleutherocous Senticosus (Ginseng-Siberian) Extract; *Ginkgo Biloba Extract; Rosmarinus Officinalis (Rosemary) Leaf Extract; Glyceryl Caprylate; Essential Oils of *Pogostemon Cablin (Patchouli), Rosa Damascena (Rose), *Pelargonium Graveolens (Geranium) and *Lavandula Angustifolia (Lavender). I'm always on the hunt for a good eye cream that will help with my dark circles and anything that helps with under-eye puffiness is a bonus! During the winter months my under-eyes are in extra need of some TLC. Thankfully the La Mav Anti-Dark Circle Eye Gel did the trick for me! I find that half a pump is plenty of product. I love this because it ensures that this product will last a good amount of time. Ingredients: *Aloe Barbadensis (Aloe Vera) Leaf Juice; *Rosa Damascena (Rose) Distillate; *Glycerin (Vegetable); Sodium Levulinate; Sodium Anisate; Sodium Stearoyl Lactylate; Chlorella Vulgaris Extract; *Rosa Canina (Rosehip) Oil; Hyaluronic Acid; Glyceryl Caprylate; Malva Sylvestris (Mallow) Extract, Mentha Piperita (Peppermint) Leaf Extract, Primula Veris Extract, Alchemilla Vulgaris Extract, Veronica Officinalis Extract, Melissa Officinalis Leaf Extract, Achillea Millefolium Extract; Rumex Occidentalis Extract; Cassia Alata Leaf Extract; Glycyrrhiza Glabra Root Extract; Sodium Ascorbyl Phosphate (Vitamin C); *Calophyllum Inophyllum (Tamanu) Nut Oil; Xanthan Gum; *Hippophae Rhamnoides (Sea Buckthorn) Seed Oil; *Vaccinium Myrtillus (Bilberry) Seed Oil; Tocopheryl Acetate (Vitamin E – plant derived); Essential Oils of Rosa Centifolia and *Citrus Sinensis (Orange Sweet). I was immediately drawn to this product because it has SPF15. I am a huge fan of mineral foundations because they provide excellent coverage (something that surprised me when I transitioned to green beauty products) and this product is no different. It offers medium-full coverage and is easily buildable. Mineral foundation usually isn't the best for my dry/combination skin during winter but this formulation didn't leave my skin looking dry. The performance is very comparable to the Tarte Amazonian Clay Airbrush Foundation. If you haven't tried La Mav yet I highly recommend that you do! It's just one of those lines that you can't be disappointed by. They also have really good deals for new customers here. Finding and testing out new products is not only a hobby of mine but it has become my job (how cool is that?!). At Nuciya we're always looking to expand our product line in order to offer new and exciting products to our customers. 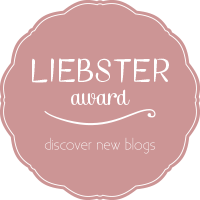 While I've been lusting over many products these past few months, here are the ones that made the top of the list! I've been following this Canadian based brand for quite some time now. All of their products are biodegradable, cruelty-free, vegan, made in Canada, and are made with certified organic ingredients. Their eye-catching packaging and their fantastic list of ingredients make it hard for me to pick just one item to list here, so I've included their starter kit which includes their Rose Dew Facial Cleanser, Rose Dew Facial Toner and Rosey Cheeks Facial Cream. Their starter kit sounds like the perfect combination for my dry/sensitive skin! This super luxurious bath and body company crossed my radar a few months ago. I have been lusting over their products ever since. This company grows their own ingredients and hand blend their products. The Mitchell and Peach body scrub contains Coconut, Sweet Almond, Palmarosa, Ylang-Ylang and Lavender oil - what's not to love!? 3. Pure + Simple Hydration Serum $50: I'm a sucker for Ayurveda based skin care lines and this is exactly what Pure + Simple embraces. They believe in living a holistic and healthy lifestyle. The Pure + Simple line contains skincare, makeup, body care, and even tea. It's hard to pick just one item that I would like to try but since winter is nearly here my skin is in need of some extra TLC. Their 100% vegan Hydration Serum contains key ingredients such as Aloe Vera, Kelp, Vitamin F, Phragamites Commuis Extract and Pria Cocoa Extra (used to reduce inflammation and skin sensitivity). 4. Mario Badescu Silver Powder $12: Mario Badescu was a brand that I quickly wrote off because I assumed that their products didn't have good ingredients. After further investigation I quickly learned that a lot of their products contain non-toxic and natural ingredients. Many of their products sounds so appealing, especially the ones used to help treat acne. My favorite budget friendly product is their Silver Powder. This is an oil absorbent powder that helps to unclog congested pores. It prevents blackheads and promotes a healthier complexion. My dry/combination skin is almost always congestion and thus I get acne. This definitely sounds like a must have for anyone who suffers from acne! 5. Mu London Organic White Chocolate Elbow, Knee & Heel Cream $35: This product speaks for itself. The name already makes it sound divine and the ingredients are even better. This award winning product seems to live up to it's name. I've been lusting over this product for the longest time, especially after reading so many rave reviews. These types of creams are a must for me during the winter months so hopefully I'll get my hands on this product soon! 6. Juliets Room Milk & Honey Vanilla Cardamom Hand & Body Lotion $21: That was a mouth full! But doesn't that sound fantastic? I tend to neglect my skin during the summer months but as soon as fall/winter approaches I can no longer ignore my dry, itchy skin. I simply can't ignore the rave reviews for this lotion or the delicious sounding scent. I think that this will have to be the next body lotion that I purchase! 7. The Bathory - Invent Your Perfect Bath Soak $30: I first saw this product on Savannah Wallace's channel on YouTube. I was immediately impressed with this company and what they offer. For only $30 you can custom blend your own bath soak. They have 3 different kind of blends - Soothe, Bask, and Detox. From there you can pick up to 3 essential oils such as lavender, chamomile and bergamot etc. I of course want to try all 3 blends but I'm mostly interested in the Soothe blend as it contains epsom salts, oatmeal, honey, and buttermilk. I think that this is such a great idea and is perfect for Christmas gifts! Did I mention that shipping is only $5 worldwide and ships within 48 hours? 8. Pura Botanicals Cocoa & Rose Luxurious Body Oil $36: I've been hearing a lot of buzz surrounding Pura Botanicals. Once I found out that this company is based in my hometown I knew that I would eventually have to give their products a try. I find that using body oil just out of the shower help keeps my skin hydrated, especially during the cold winter months. This cocoa and rose blend sounds heavenly! Laurel Whole Plant Organics is one of my favorite skincare lines. From the formulations to the beautiful packaging this whole skincare line just screams luxury. I'm a huge fan of travel sets, as it's not only great for travelling but also for testing out a new skincare line. Travel sets give you plenty of time to make sure that the products are working for you. The Laurel Travel Sets lasts approx 3-4 months and retails for $68. Each travel set comes with a cleanser, elixir, serum, facial exfoliant, and lip balm (love!). I ended up trying the Gentle Travel Set but ended up swapping out the Anti-Inflammatory Serum for the Balance Serum. Normal/Dry Cleanser (30ml): This might just be one of my favorite items included in this travel set. My skin just adored this cleanser! It is lightweight, moisturizing, and best of all it removes ALL of my makeup. I found myself looking forward to using this cleanser day and night. The light scent seemed to always put me in a good mood, I couldn't get enough of it! It is very rare that I can find a light, creamy cleanser that packs a punch (aka: cleans my skin & removes my makeup, including eye makeup!). I look forward to purchasing the full size bottle of this and adding it to my daily skincare regime. Normal/Mature Elixir (30ml): Toning will always be my favorite part of any skincare regime. It's not only the most important (restores your skins pH level & closes your pores) but it is so refreshing. To me a good toner must remove excess dirt/makeup from my skin and add a bit more hydration..thankfully this is exactly what this elixir does. I love that this elixir is non-alcoholic and therefore non-drying. It also contains beautiful yet beneficial ingredients such as Rose Geranium, Rose hydrosols, Witch Hazel, and Calendula - ingredients used to sooth, tighten and heal skin. Balance Serum (10ml): I decided to trade in the Anti-Inflammatory Serum for the Balance Serum because I was testing out this travel set during the summer. During the summer months I tend to get oily around the dreaded t-zone area so I opted for the balance serum. With a base of jojoba oil this serum is perfect for oily, combination, and break-out prone skin. I love that only 1-2 drops of this serum goes a long way - making this luxurious facial serum more cost effective. Almond Grain Exfoliant (10ml): I love this exfoliant as it isn't too harsh for my sensitive skin yet effectively removes dead skin cells. This exfoliant contains excellent ingredients such as oats, chamomile, nettle, and rose essential oil - making this perfect for all skin types. The sample included in this travel kit is enough for 2 uses. Lavender Lip Treatment (5ml): This is by far my favorite lip balm of all time (I don't mean to sound cheesy when I say this!) Its buttery, nourishing, and soothing to the lips. A little goes a very long way, in fact I still have this sample but plan to buy a full size jar once I run out. This is definitely going to be a life safer for my lips this winter! All in all I think that this is a fantastic value for $68. A luxury travel set that lasts 3-4 months is perfect for anyone looking to test out a new skincare line. With Christmas just around the corner (yikes!) these beautiful products come neatly packages in a gorgeous cotton Laurel bag. I can definitely see myself gifting this set to a few people this year! 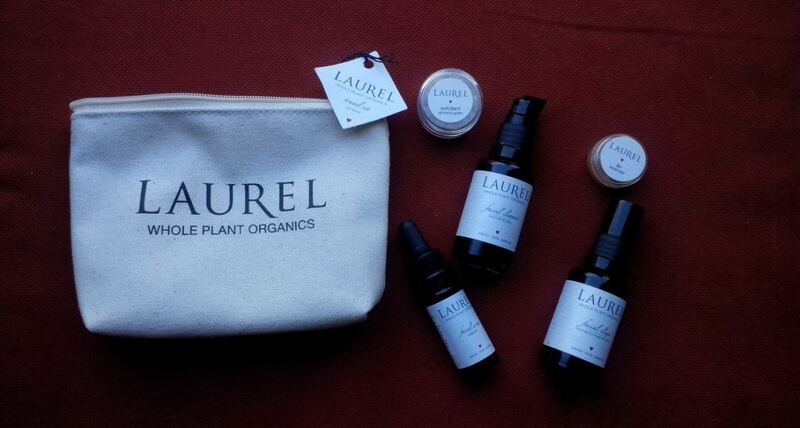 What are your thoughts on the Laurel Whole Plant Organics Skincare Line? products to review please contact me via email.